The Insane Trailer for ‘The Real Housewives of New York City’ Season 9 Is Here: Tinsley Mortimer Debuts, Cheating Allegations, Catfights and the Return of Jill Zarin! Manhattan’s most dramatic group of girlfriends is back! The explosive trailer for season 9 of The Real Housewives of New York City dropped on Monday, March 6. In the sneak peek, the ladies (including newbie Tinsley Mortimer) get into some crazy catfights and throw around cheating allegations. Plus, OG NYC Housewife Jill Zarin makes an unexpected return! Mortimer, 41 — a former NYC It-girl who is perhaps best known to viewers for her short-lived reality TV stint in 2010 on the CW’s High Society — is introduced to the group with some help from Sonja Morgan. Mortimer, who had previously moved from the Big Apple to Palm Beach, Florida, is shacking up with Morgan, 53, in her Upper East Side townhouse. 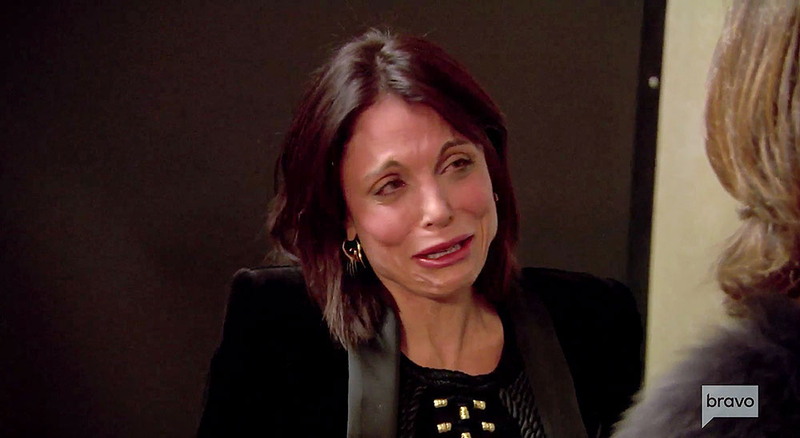 “She had the whole world at her fingertips and then kind of crashed and burned,” fan favorite Bethenny Frankel says in another scene, seemingly referencing Mortimer’s April 2016 arrest for trespassing on the property of her on-again, off-again boyfriend, Alexander “Nico” Fanjul. There’s also a quick glimpse of Zarin, 53, who was fired from the hit Bravo show in 2011 after four seasons. Though it’s unclear what she’s talking about, the feisty redhead, who has yet to reclaim her throne as a full-time Housewife, exclaims, “That is so obnoxious!” while seated at a dinner table. To see what Carole Radziwill and Ramona Singer are up to — and a steamy smooch between former enemies Morgan and Frankel! — watch the video above. The Real Housewives of New York City returns to Bravo for its ninth season on Wednesday, April 5, at 9 p.m. ET.